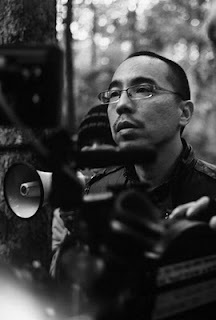 Apichatpong Weerasethakul has joined Filipino director Brillante Mendoza, Malaysia's Ho Yuhang and Hong Kong's Stanley Kwan in contributing segments to Quattro Hong Kong 2, an omnibus project commissioned by Brand Hong Kong and produced by the Hong Kong International Film Festival Society. The film will have its world premiere at the 35th Hong Kong International Film Festival, running March 20 to April 5. Quattro Hong Kong was inaugurated last year with contributions by Clara Law, Fruit Chan, Herman Yau and Heiward Mak. The omnibus also screened at the Taipei Film Festival, Cinema Digital Seoul and the Venice Film Festival. So this year's Quattro project is expanded to include celebrated Southeast Asian directors – Apichatpong, riding high on his Palme d'Or win at last year's Cannes Film Festival for Uncle Boonmee Who Can Recall His Past Lives; Mendoza, the Cannes best director winner for 2009’s Kinatay; and Ho Yuhang, whose At the End of Daybreak surprised the heck out of me at the World Film Festival of Bangkok. The Quattro 2 shorts are all being made in Hong Kong, says Jacob Wong, Hong Kong International Film Festival programmer. "Hong Kong is an amazing city – physically beautiful and psychologically complex. This omnibus series has been getting a very warm reception from audiences and participating filmmakers worldwide. Both Brillante and Stanley have finished shooting, and Apichatpong has just wrapped today. We are really looking forward to seeing the results, especially when this time we have three very exciting directors from Southeast Asia." In other recent news, Uncle Boonmee is a nominee for the inaugural Heterodox Award in the Cinema Eye Honors at the Museum of the Moving Image. The new Heterdox Award is sponsored by Filmmaker Magazine. The other nominees are Pedro Gonzalez-Rubio’s Alamar, Matt Porterfield’s Putty Hill, Michelangelo Frammartino’s Le Quattro Volte and Lena Dunham’s Tiny Furniture. Filmmaker Magazine is “honored to celebrate with Cinema Eye the five narrative films this year that have most adventurously burst through the boundaries separating art and life,” said editor Scott Macaulay. Boonmee is already nominated for the Independent Spirit Awards and on January 20 we could learn whether it made the short list for the Academy Awards. As a reminder, Apichatpong will be in Singapore this weekend for a charity screening for Uncle Boonmee to benefit the Asian Film Archive. And Uncle Boonmee Who Can Recall His Past Lives is set for the inaugural Lifescapes South East Asian Film Festival put on by Payap University in Chiang Mai. It'll be the hometown premiere for the Chiang Mai-based filmmaker. Lifescapes runs from February 3 to 6 at the city's Major Cineplex branch.